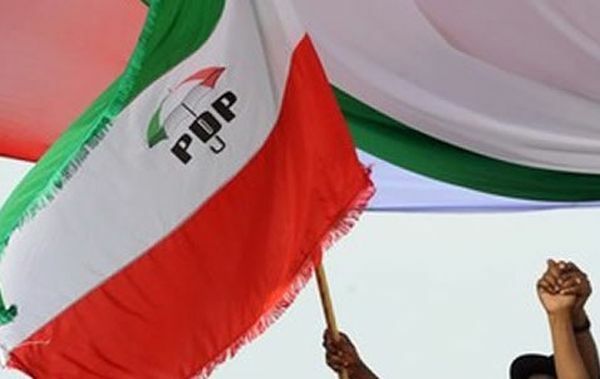 The Peoples Democratic Party, PDP, has alleged of plans by the All Progressives Party, APC, to embarrass the party using anti graft agency, the Economic and Financial Crimes Commission, EFCC, before its convention. The party said the APC was planning to arrest and detain its to hinder the convention in order to create a one party system in Nigeria. Recall that the PDP Chairman in Plateau State, Damishi Sango, was kidnapped on Thursday while on his way to Abuja for the PDP convention scheduled for Dec 9. The party revealed this in a statement via its official Twitter page. It said, “We have been reliably informed that the ruling All Progressive Congress (APC), has concluded plans to embarrass our great party by using the anti graft agency, the @OfficialEFCC to arrest and detain key members of our party before the Convention on Saturday December 9, 2017. “This is totally unacceptable and another plan of the APC led administration to create a one Party state in the country. “The only reason the APC is afraid of a strong opposition in Nigeria is due to the nonperformance and abysmal failures of the party at all levels.